Barry was born in Bedford in 1945 and football was his only love. He joined Manchester Utd as an apprentice in 1962 playing alongside and befriending a “young genius” Irishman by the name of George Best. After brief spells at Bolton Wanderers, Luton Town and Leyton Orient Barry became a journeyman in the non-league appearing for Gravesend, Bedford Town, Romford and Dunstable Town before having to retire prematurely due to injury. Entrepreneur Keith Cheesman saw the potential of the young Fry in management and offered him the position at Dunstable Town in early 1974. Still in his 20’s Barry, through his contacts, acquired the services of senior players the calibre of Jeff Astle and George Best – although Best only appeared in a handful of games. 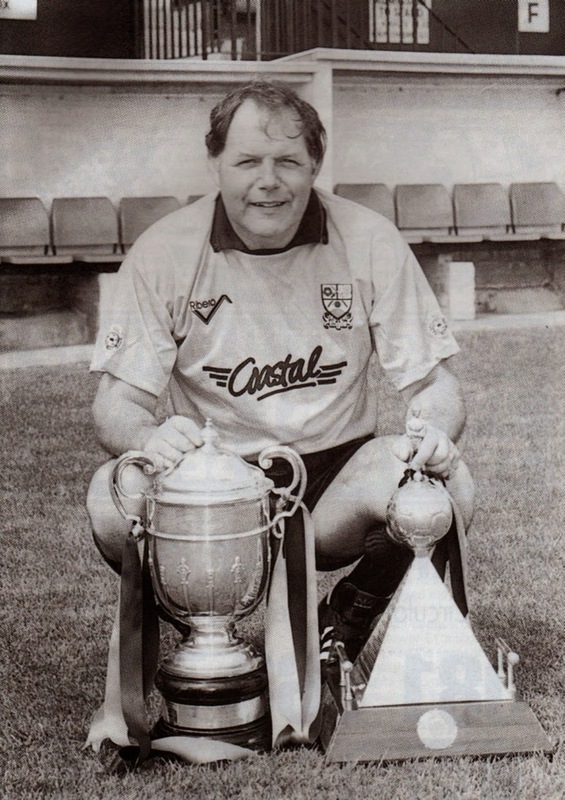 Kevin Millett, who made over 400 appearances for Barnet and was generally referred to as one of Barry’s lieutenants over the years told me “I was playing under Barry at Dunstable, and one afternoon in walked George. The lads just couldn’t believe it. He sat down next to me in the dressing room and said ‘hi lads’ and I couldn’t take my eyes of him there he was the legend, absolutely incredible that I played on the same pitch as Best”. After a promotion season there followed a poor run of results and the new owners at Dunstable sacked Fry. “I moved to Hillingdon Borough and then had a brief stay at my home club Bedford Town before Dave Underwood rang me and offered me the manger’s position at Barnet. That was in December 1978”. 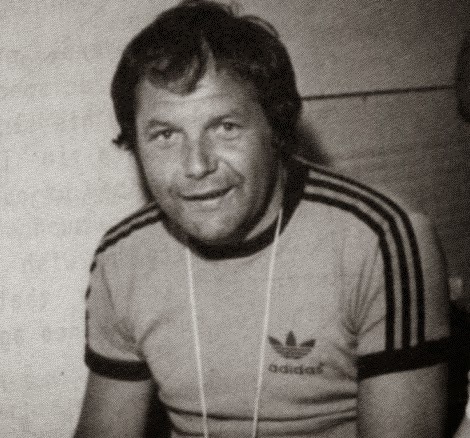 Barry had been favourite to become manager when Brian Kelly and the club parted company in 1976 but ex player Billy Meadows was given the chance. Meadows assembled an experienced team with ex pros and won the Southern League Division 1 championship by a country mile scoring over 100 goals. The club continued its ascent with a goalscoring playmaker in midfield, one James Greaves. However football has a nasty habit of biting back and a poor start to a season following two good ones put too much pressure on Meadows who resigned allowing Barry to come in. It wasn’t part of the script but the team conceded nine goals without reply in Barry’s first two games. Fry was quoted in the local press “There is a lot of work to do!” However the love affair had begun. In hindsight when one reflects on Barry’s first spell of management at Underhill unfortunately the word underachieve crops up time and time again. A 13th place finish in the Southern League Premier allowed Barnet to enter the newly formed Alliance Premier League which included the top echelon of clubs from all over the country the first time that non league football had strayed from a regionalised format. 15th was the best finish in the first four years but cup excitement overshadowed league form. Thrilling FA Cup ties against league opposition the likes of 1st Division Brighton and Hove Albion, Peterborough Utd, Bristol Rovers and Plymouth Argyle pulled in the crowds. These games coupled with Barry’s cavalier attitude were his saviour with the Underhill faithful. He generated enthusiasm, excitement, controversy, passion, and debate and of course made us laugh. He would never shirk a confrontation in the bar after games with fans and was happy to stand toe to toe with us arguing his case. The poor attendances, the state of the pitch, the facilities etc. etc. “Support me and the club” he would bellow, “give us success then” we would bellow back. He would then buy as a drink. Such were the financial difficulties of the period and in particular the money owed to McMullens Brewery in October 1984 Barry took the initiative and secured a loan on his own house to buy McMullens off. That was Barry to a tee. “Fry Out” was chanted with monotonous regularity from the terraces and offers came from other clubs but Barry’s response was “I can’t leave now even though my wife would love me to”. 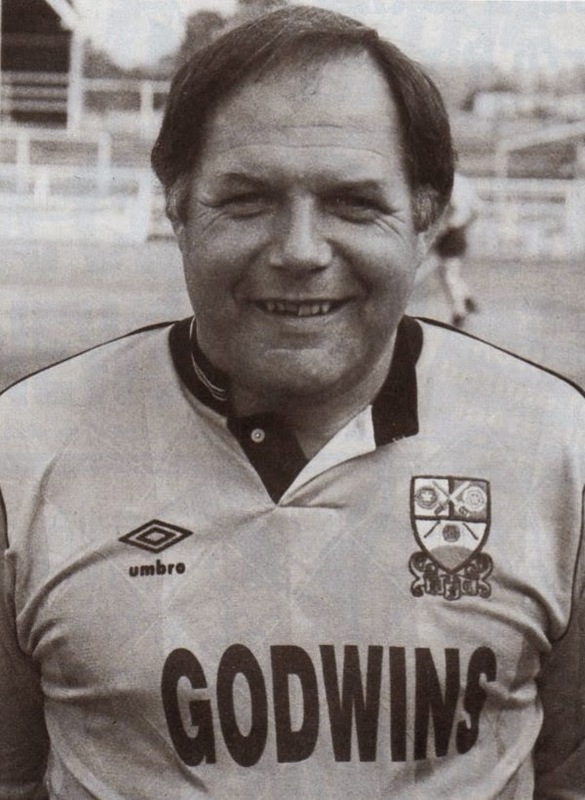 Suddenly in the New Year of 1985 to everyone’s surprise it was announced that Barry had been appointed the new manager of Maidstone Utd, a Gola League rival of Barnet. Bees Chairman Tom Hill revealed he was aware of the approach but there were some 30 candidates and he hadn’t taken the matter seriously. Barry was quoted in replying to numerous letters he received from fans, most supportive although some unsupportive, “Part of me will always be at Barnet. It honestly broke my heart to leave but the offer was too good to refuse. Maidstone are the Manchester Utd of non league they have ambition to get into the Football League and that too is my ambition”. Barry's first team coach Roger Thompson took over the reins at Underhill. According to Tony Thornton’s research for his wonderful book chronicling this period in the clubs history “The Club That Wouldn’t Die” Fry was offered three times his Barnet salary, a car, five full time staff and a proper office with new carpet. That would turn anybody’s head surely? 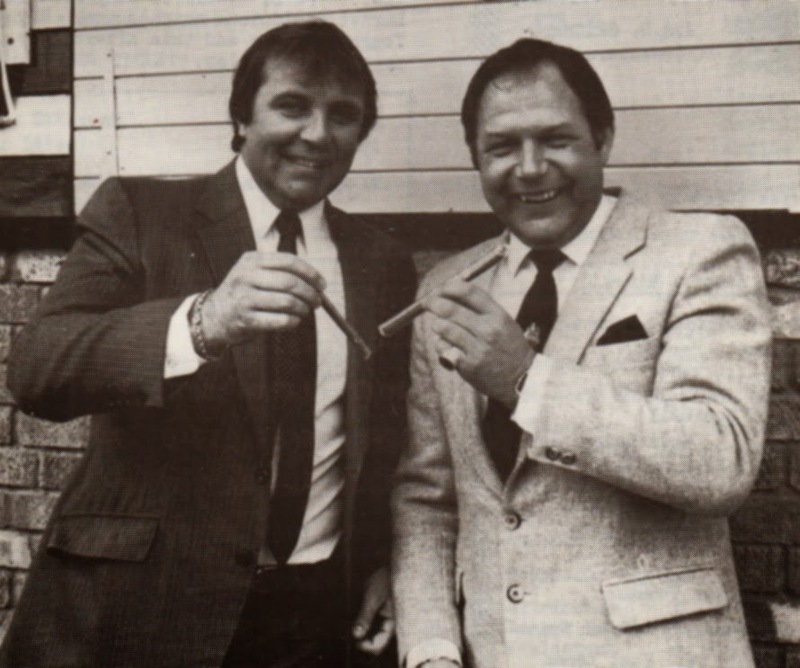 18 months later new Barnet Chairman Stan Flashman persuaded Barry to return. “Barry is still the man for this club,” he said. Reinstated with the promise of a financially secure future Barry set out again on his goal of League football for Barnet. What a roller coaster of a time the infamous pair would experience and indeed present to us long-suffering supporters. A second place Conference finish behind Scarborough was followed by another second placed finish behind Lincoln City a season later. An 8th place in 1988-89 was enhanced by the victory in the Club Call Cup final over Hyde Utd at Telford’s Bucks Head ground -the first real silverware won by the club since 1977. More heartache would follow in 1990, as Barry’s boys were once again the bridesmaids loosing out to Darlington. I must say that the football played during this period was as exciting if not more exciting than that delivered by the great Barnet teams of the 1960’s and the early 1970’s it was a privilege to be part of it. Attendances trebled, players of real class came and went, some for colossal transfer fees. Andy Clarke £350,000 to Wimbledon, Phil Gridelet £175,000 to Barnsley and most incredible of all Lee Payne £125.000 to Newcastle after just a handful of appearances are just some examples. Constant publicity, good and bad surrounded the club, we were in the tabloid press everyday, and every club wanted to beat us. 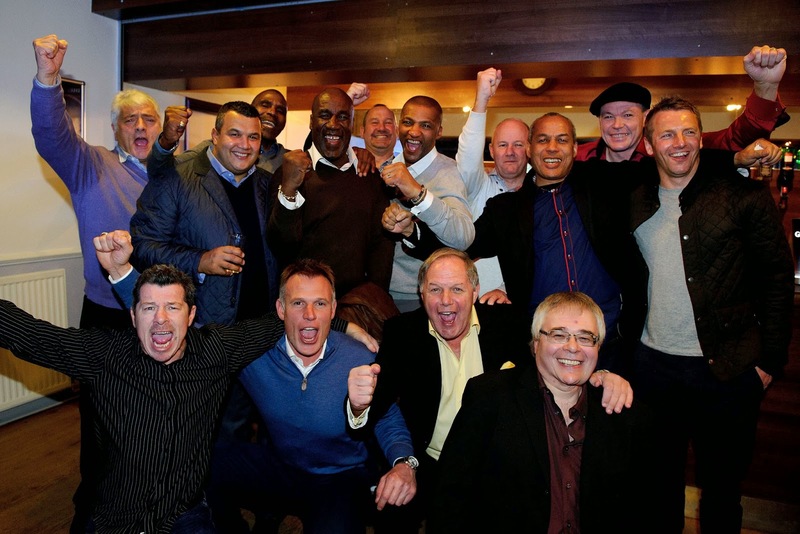 They were exhilarating times and it was exhilarating to be a supporter. The 1990-1 season finally brought the success that Fry, Flashman and the club fully deserved. In a season full of tension, thrills, despair, and goals - 103 in the league – Colchester Utd were pipped at the post. The championship winning game at Fisher Athletic is in Barnet folklore as is Gary Bull’s wonder goal. Barry was now literally a legend at Underhill and his ambition at long last was realised. He was also hot property and resisted offers from a whole host of big clubs including Aston Villa, Luton Town, Birmingham City and Chelsea but his reaction was “I’ve been trying for 15 years to get a non league club into the Football League and my job is here at Barnet”. The historic first league game at Underhill vs Crewe Alexandra finished 4-7 and the next game in the League Cup vs Brentford 5-5. Fry and the team continued to deliver entertainment on grand scale whatever the venue or level. By playing the Fry brand of attacking football and entertaining the public a play-off defeat in 1991-2 against Blackpool was followed by automatic promotion to the new Division 2 in 1992-3. But by now administrative turmoil had beset the club and in a well-documented period Barry much to the disappointment of the fans accepted the position as manager of Southend Utd. 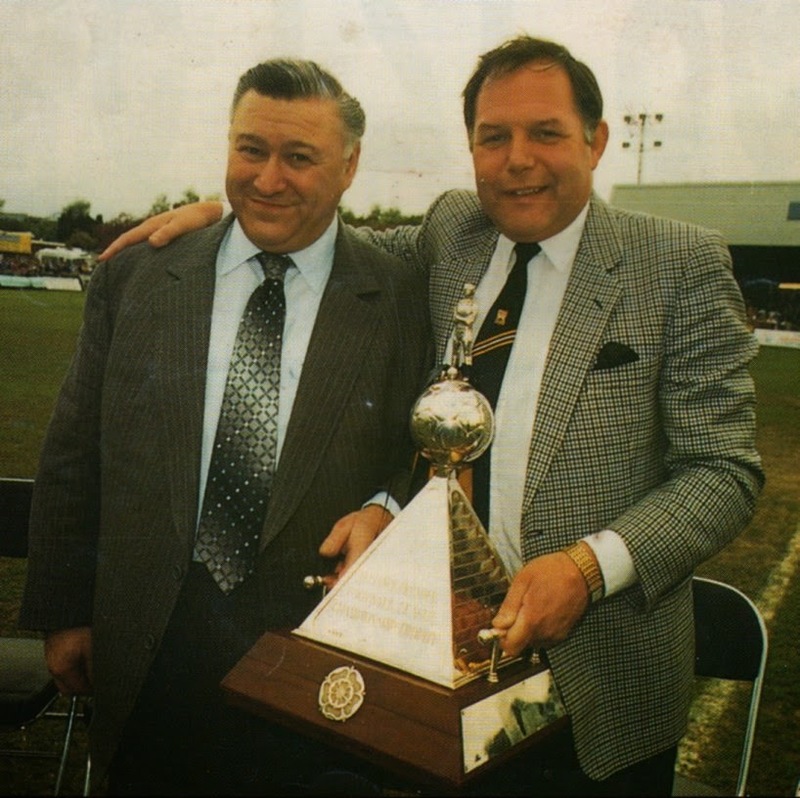 His right hand man and long time friend Edwin Stein took over the reigns at Underhill before following his old boss to Roots Hall along with a number of the Bees 1st team squad. At first this fuelled the anger of the Barnet fans and Barry was very harshly labelled as a Judas. Sooner or later of course one realises that all good things must come to an end and a club must move on. Respect ultimately returned to where it was so deserved. 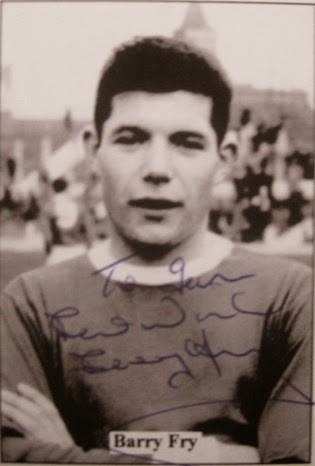 Later Fry managed with some success at Birmingham City before settling at Peterborough Utd first as manager, then owner and now as Director of Football. Yet somehow I know in his heart the times at Underhill were the most rewarding for him personally – it stands to reason!